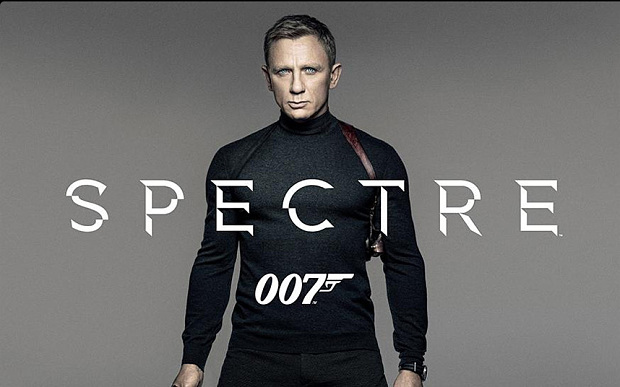 SPECTRE Review | Warped Factor - Words in the Key of Geek. Tony prepares to be monumentally unpopular. Skyfall was a double espresso. Welcome to the de-caff skinny flat white of Bond movies. The potential of Spectre was epic: the re-writing of a classic shadowy ‘board’ of super-villains and the re-imagining of a classic ultra-villain bringing the retro, all while facing very 21st century political and espionage realities – the idea of Double-O agents as nothing more than redundant assassins, the war on terror being fought through drones, surveillance and information management. On paper it sounds like a heady mix, albeit a difficult one to pull off. Too difficult, as it turns out. When you’re checking your watch before the end of the pre-credits sequence, something’s gone badly wrong somewhere – and here, it’s mostly a sense of stagnation and a chronic lack of pace or, for the most part, sense. Don’t get me wrong, the pre-credits involves a stalled seduction, an assassination, a big explosion, a sofa of reasonable comfort, a chase and some helicopter shenanigans, but there’s no sense of urgency to any of it – an initial long walk seems to take forever for no reason, and at the end of it, everything seems just a little too push-button and Bond-by-numbers – “And now this happens. Then…Oh, I don’t know, maybe this. Cut to a helicopter, that’ll be cool!” There’s also the fact that before any of that happens, the film feels uncertain enough to stamp its whole philosophy on screen in the legend: The dead are alive. Then there’s Sam Smith. Sigh. Next! In fairness, the radio equivalent of carpet-bombing has rendered the godawful caterwauling of ‘The Writing On The Wall’ into the shape of an earworm, and the credits themselves are better than you might be hoping, with the song crawling over the line of bare adequacy for the task it has. The plot, less so. As with many recent Bonds, there seems to be a lot of jetting about the globe mostly because we can, with little in the way of logic or point that can be remembered. Monica Bellucci’s in the movie for about five minutes, and one fairly hot scene, then she’s never seen or mentioned again – the information that she’s ostensibly in the film to relay makes no sense for her to know, so it acts as a flow-stopper unless you suspend not only disbelief but any standards of logic. In an effort not to blow the big secrets of the story, let’s say that if Skyfall took Bond home, Spectre takes us to a part of his origins that we’ve never known about before. A villain we’ve seen before is back, but in a way that both excites and confuses – we’re not entirely sure, based on this movie, whether this is supposed to be the origin story of that villain, and come before our previous meeting with them, or whether this movie’s villain is just loopy enough to assume the identity of someone else. If the latter, they’re a damn good cosplayer, Christoph Waltz admittedly doing well in conjuring the menace needed in a Bond villain. As good, as dangerous-feeling as Javier Bardem as Silva in Skyfall though? No. Again, when you feel most engaged by a Bond movie when Bond is not on screen, something’s not right, and here, while the delving into Bond’s past and the whole ‘Batman made the Joker, but the Joker made Batman’ web it entails is entertaining enough once Waltz finally makes his proper entrance (it seems to take an age), and the story is lifted substantially whenever he’s on screen, putting Andrew Scott in a role that lets him steal not only scenes but also the heart of darkness in the movie means that for the most part, the London-based storyline (the one without Bond in it) is almost always more engaging than the one with Bond hopping about the place from Rome to Switzerland to Tangier to the practically literal middle of nowhere. Scott here gives everyone a run for their money – Craig, Fiennes as the new M, and Waltz as the ostensible uber-baddie - and in a way it has the same effect as adding two villains to a superhero movie is almost always bound to do: you pick sides, choose your ‘favourite’ villain and disengage some interest from the storyline of the other. While we’re on the London storyline, that’s another aspect that feels like it’s well done in itself, but that it steals some of the point from a Bond movie – Naomie Harris as Moneypenny, Fiennes as M, Rory Kinnear as Tanner and most especially Ben Whishaw as Q all give excellent, engaging performances in their half of the movie, but the fact that they have so much to do turns Spectre into something with less of a Bond vibe, and more of the feeling of an episode of Spooks. Great and good and all, but not particularly what you pay money to see when you go to a Bond movie. Action and quippery are pretty much what you pay to see when you go to a Bond movie, and yes, they’re here, but still with that sense of Bonding-by-numbers. Dave Bautista as Mr Hinx (and yes, we had to look that up), to give credit where it’s due, has the unstoppable perseverance of a 21st century ‘Jaws,’ and utters just one word in the movie, giving him a solid slab of silent menace. A Bautista return would be welcome. But the chase sequences feel like retreads that even Bond is bored of – he spends the majority of one major sequence trying to escape from Hinx while on the phone to Moneypenny, leading to a sense of disengagement in the action. Did we mention there’s another Bond girl? Lea Seydoux as Madeleine Swann acts in this movie as the keeper of Bond’s conscience, leading to a conclusion that begs for sequels, as Bond learns a trick that’s signposted much earlier in the movie. Seydoux is fine, and the character has some good moments, but they’re notably all before she decides to get gussied up and throw her lot in with Bond. Once she does that, as Waltz’ character taunts, she becomes pretty much one more in an unending line of interchangeable women put in danger by 007, though the movie’s ending does put her in a fairly exclusive Bond Girl club. Overall, there are good performances here, but they all amount to a fairly middle-of-the-road plot-boiler of a Bond movie, with long, meandering sequences squandering the punch and the pacing, a conflict of attachment between two powerful villainous performances, and action that barely raises the pulse. It’s not quite as pointless as Die Another Day, but it’s probably on a par with The World Is Not Enough. The disjoint seems to be in a script that’s both padded and bisected, with Bond’s Scooby Gang taking half the movie out from under him, and surprisingly languorous direction this time out from Sam Mendes. Without the script and the direction firing on all cylinders, Spectre is like an Aston Martin in which nothing happens when you flick all your cool switches. Here’s hoping for better the next time.